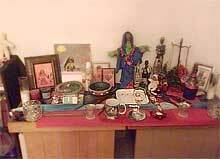 If you have a request for Erzulie Dantor & would like to also send her an Offering we will gift her on your behalf. You will need to tell us your request & Full name. We ask a minimum of $2.00. You may increase the amount at your discretion. Erzulie Dantor is Petro Lwa. 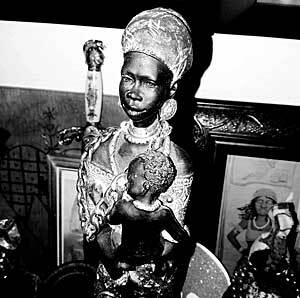 Depicted with Scars on her face, dark complexion, heavy set. Protector of Women & Children. She is a firm but, loving Mother and will do all she can to protect & Help children, single Mothers, women scorned or Lesbians. She does not "hate" men she just does not trust them. Any male that dreams of Erzulie Dantor must be either her husband or a man she has strong affections for, and sometimes is an indication that she is requesting you to serve her. 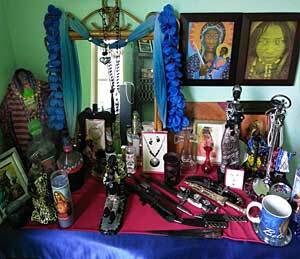 Gifts & offerings include - daggers, black pigs (blood as well), Dark Creme de caco read wine or Rum, Strong unfiltered cigarettes, Red Roses, paintings with a Mother & child or her Veve & Jewelry (Silver). 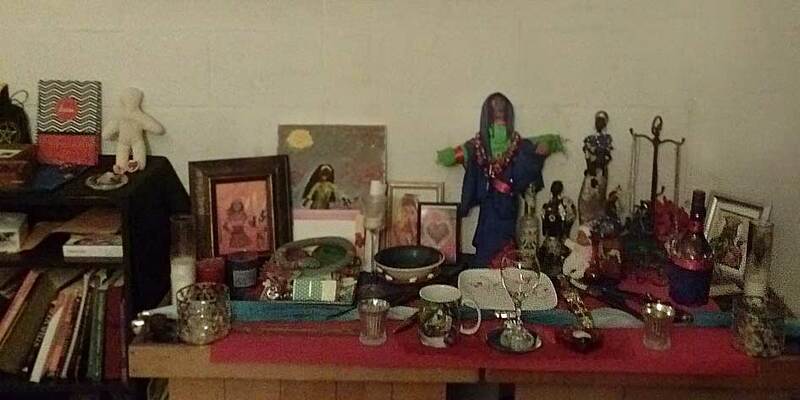 She is appreciative of any gifts and does not expect much only respect & a clean Altar. Her colors to represent her you can use either Red & Navy Blue or Red & Green. She is feared by many & has no tolerance for ignorance or neglect. Do not make promises you cannot keep as she is not very forgiving. She is classified as a "Hot" Lwa the Petro aspect of Erzulie and is not to have an Altar in the same vicinity as her sister Erzulie Freda. 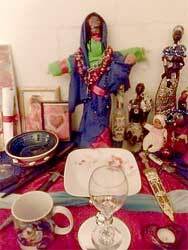 Burn Frankincense as your incense and splash Florida water across her VeVe. - is made of sticks and Spanish moss as well as fabric. Gifts including jewelry, her child, Daggers her offering plate with beautiful red roses adorned upon the plate, several statues depicting a dark skinned woman with a child her wine glass and other such gifts and offerings placed on her Altar.